Kim Kardashian arrived in New York, supporting husband Kanye West for his Saturday Night Live appearance. The 35 year old Reality TV star kept her styling on point, enhancing her curves in a figure hugging Adidas lycra bodysuit. 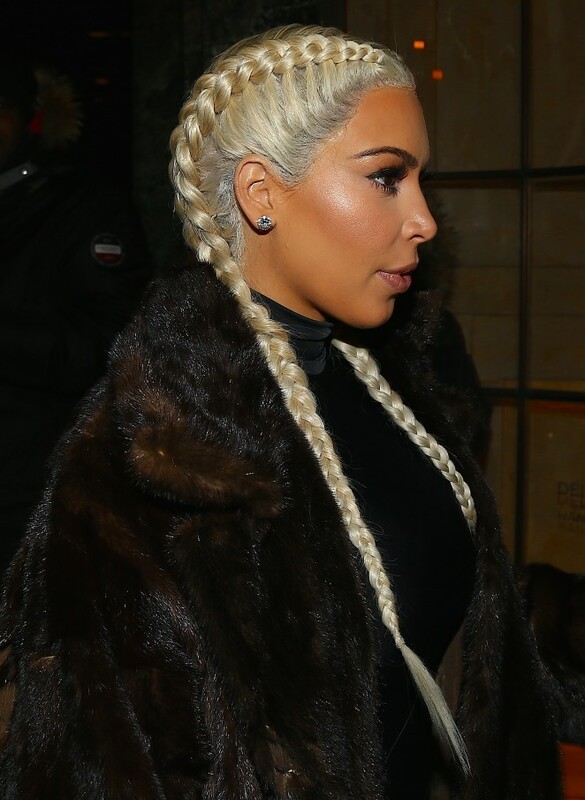 A thick brown fur coat was also worn by Kim, who recently went blonde again, and had her hair in a trendy braided hairdo, segmented into two. On her feet were Kanye's Yeezy Season 3 perpex boots, and the mother-of-two completed her look was lashes of mascara, a contoured makeup look and sparkling stud earrings.